Just where does that chair end and he begin? Film and television is reviewed, analysed and criticised from every perspective, most of the time the focus is chiefly on directing and acting and sometimes also special effects, music and cinematography. These days it seems everyone can be a reviewer; everywhere you look on the internet someone is giving their summary on the latest movies or listing their top ten favourite episodes, there are critics that specialise in nostalgia, art house cinema, horror, animation, you name it. But where are the critics that specialised in costume? Who praises the unsung heroes of the design world? Who gets excited over historically accurate buttons? Who noted all the tiny details and translated their intended meaning? The closest thing out there is Clothes On Film…And that’s pretty much it. Oh come on, really? People spend hundreds, if not thousands of dollars to dress up as their favourite characters at conventions and Halloween, whether we are conscious of it or not, the clothes really do make the man, we identify characters by their clothing just as much as any other aspect of them. At a mere glance, if a designer has done their job properly, we should be able to gain some information about the character. Never fear, consider this niche filled by me, Courtney Coulson, costume designer (even studied it and everything! ), cosplayer for seven years and owner of Costume Couture where I make costumes on commission. That sentence alliterative enough? Good, let’s begin then. Tron, the name alone conjures up very distinct visuals, the Grid is a world unlike any other, it is inhabited by programs and although they may look human, even resembling their “Users”, they are only simulations. Sounds like an interesting challenge for a costume designer, just how would clothing work in a digital world? I shall be analysing both films, looking at how the clothing evolved to reflect the changes both in real world technology and the ever evolving Grid. 1982, Disney pick up Steve Lisberger’s strange little sci-fi project, this would become the first film he ever directed. 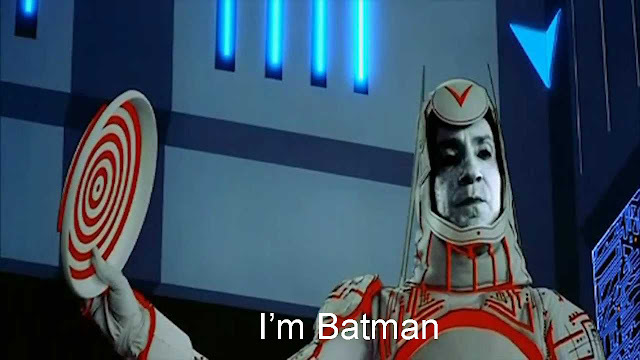 It is made on a relatively modest budget of $17,000,000 (a tenth of Tron Legacy’s budget). Eloise Jensson who had a career spanning almost forty years, Tron being one of her final projects, her other most notable works were Samson & Delilah and I Love Lucy. Rosanna Norton has been working in the costume industry for over forty years and has been involved in some pretty iconic films, Robocop, Gremlins, Carrie and Flying High for a start. As the title of this article suggests, these films combine technology with costume in a most remarkable way. 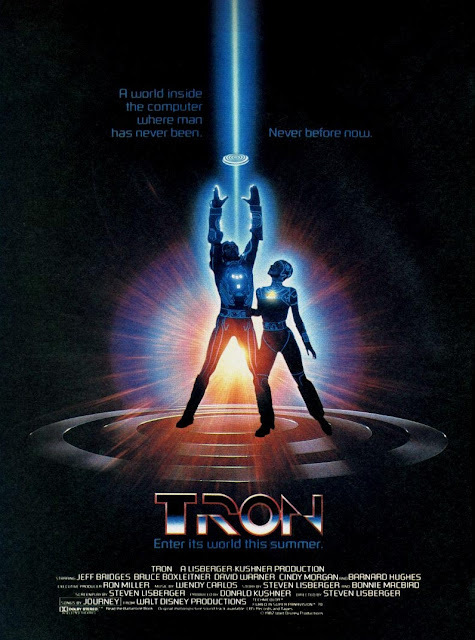 Both Tron films, you might be surprised to discover are realised more practically than you might think. Being programs, the inhabitants of the Grid have no need for fastenings; there is not a zipper, button nor even lacing to be found anywhere. Tron Legacy takes this a step further to the extent that there are hardly any visible seams. As a standard, most programs are seen in white spandex suits (that leave little to the imagination), with a belt and covered in hockey armour. Some characters, notably Flynn are seen with a kind of asymmetrical tunic which gives a slight gladiatorial look to the costume. My one criticism for this feature is that it is so simple, being only white without any circuitry, that it seems like a thoughtless last minute addition to the costume. A few lines of circuitry or colour could have helped to integrate it with the rest of the costume properly. 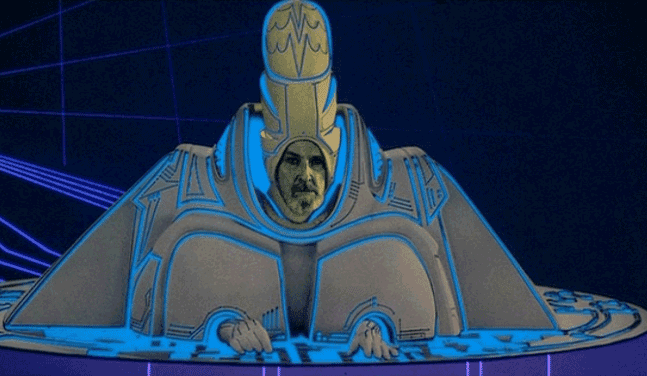 Casual Tron fans are probably aware that the movie was filmed entirely in black and white; all of the lights were added in post-production using good old fashioned rotoscoping. 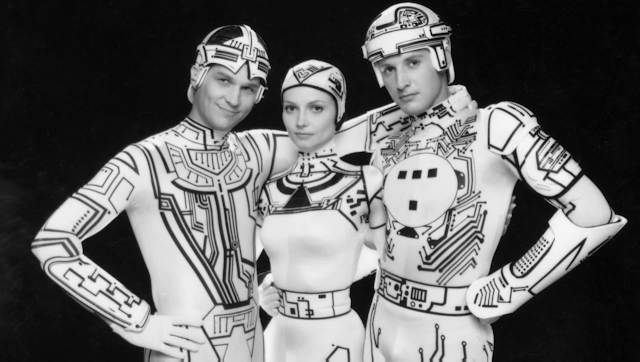 In order to achieve this, the costumes had the “circuitry” painted in black, a simple, but effective technique. The bold blues, reds and oranges against an otherwise monochromic world make the Grid look even more unearthly. Adding to this is the fact that none of the “lights” actually glow per-se, if you look closely they might be bright neon colours, but they don’t emit any light. The Grid is a rather colour coded world, good or neutral programs have blue circuitry, as is the case with our protagonists Tron, Flynn, Yori and Ram. And of course all the baddies are in red, boring! Although for what they lack in symbolic subtly they make up for in structure, as the guards have interesting, blocky silhouettes heavier fabric and armour and Sark’s helmet is also of note. Some other seldom seen colours include yellow and green, the former representing hacker programs, Clu 1.0 being a prime example and the latter representing military programs, especially tank operators. The circuitry patterns are unique for every program, the colours of which seem to be able to change, be it due to emotion, pain, or even copying another program. Now I’d like to show you the more outlandish and obscure characters, this film is sparsely inhabited, but the few crowds of extras that we do see are mostly civilian programs known as “inoperative data-pushers”, not much is known about them, but their bizarre costumes and behaviour are what engage the imagination. They don’t seem to be all that aware or concerned with their surroundings and ignore Flynn entirely when he passes through the crowd. We are briefly shown programs with abstract, non-linear circuitry, wearing masks obscuring their entire faces, if they do in fact have faces at all. There are also female programs without armour or helmets and with extreme hairstyles, we also see robed monks, the only unlit programs in the Grid. Usually the absence of light in a program represents derezzing, but in this case I suspect it’s due to a case of the poor budgets. I was hesitant to include this costume worn by Yori, although it is one of my favourites, it is only found in a deleted scene which I very much wish was included. It makes canon many things that are otherwise never mentioned again, including program romance, having personal possessions and being able to change clothing, circuitry and colour, all of which can be directly tied to the appearance of this ensemble. Tron is considered to be one of the earliest examples of cyberpunk; its distinctive visuals inspired a generation, many artists and creators such as John Lasseter and Daft Punk praise Tron as a source of inspiration. Tron performed well at the box office spawning an almost instantaneous cult following. Critically it was well received and it was nominated for a few awards, the costumes were nominated for an Oscar but lost to Gandhi. 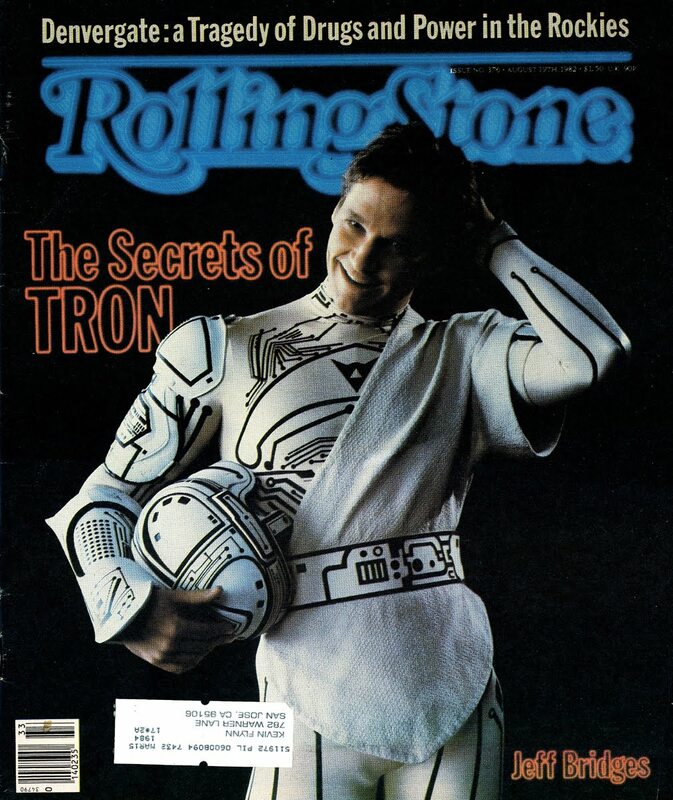 Interestingly the only award Tron ever won was actually for its costumes and that was from the Academy of Science Fiction, Fantasy & Horror Films USA. A bit of trivia for you, in the year it was released, the Motion Picture Academy refused to nominate Tron for a special-effects award because, according to director Steven Lisberger, "The Academy thought we cheated by using computers"
In terms of cosplay the costumes from the original Tron are not all that common, white Lycra is rather a daring choice. 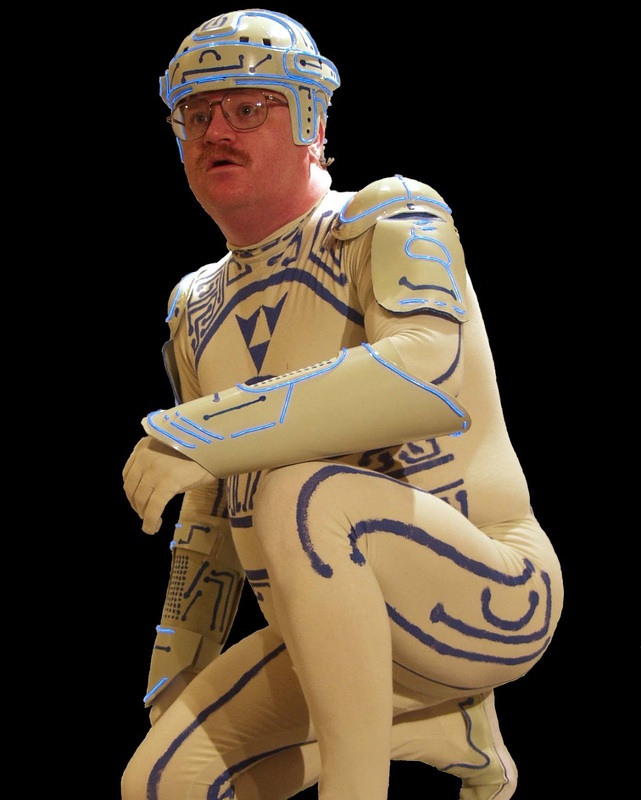 Of course I would be remiss to at least make mention of Tron Guy, for what Tron cosplayers lack in number, they certainly make up for in notoriety. Bless his Lycra tights. 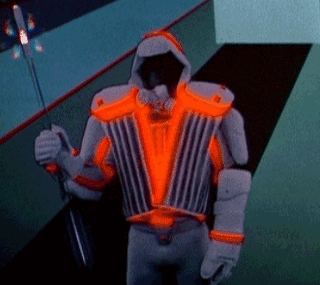 Over all I believe the costumes in Tron are iconic but an acquired taste, most people upon first viewing will be momentarily taken aback by such bizarre costumes, but I think that’s the desired reaction. Within that alien world it somehow works, like the Grid and those circuitry suits are an extension of one another. I like the article, and I agree there isn't really much criticism directed towards costuming in general except maybe by the fanbase itself (see The RPF). I suppose in general a well made costume just gets ignored as along as it suits the purpose, which is a shame in some contexts because Sci-Fi lends itself incredibly well to all sorts of great (and no so great) costuming and props.